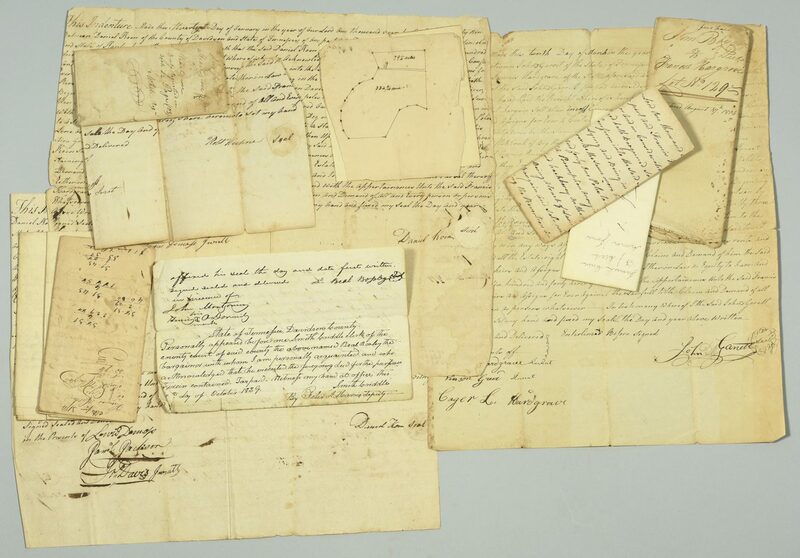 Group of 11 assorted early Tennessee land indentures (plus halves of 2 others), dating from 1796-1841, signed by various landowners and purchasers. Several relate to and are signed by Francis Hardgrave (also written as Francis Hargrove). 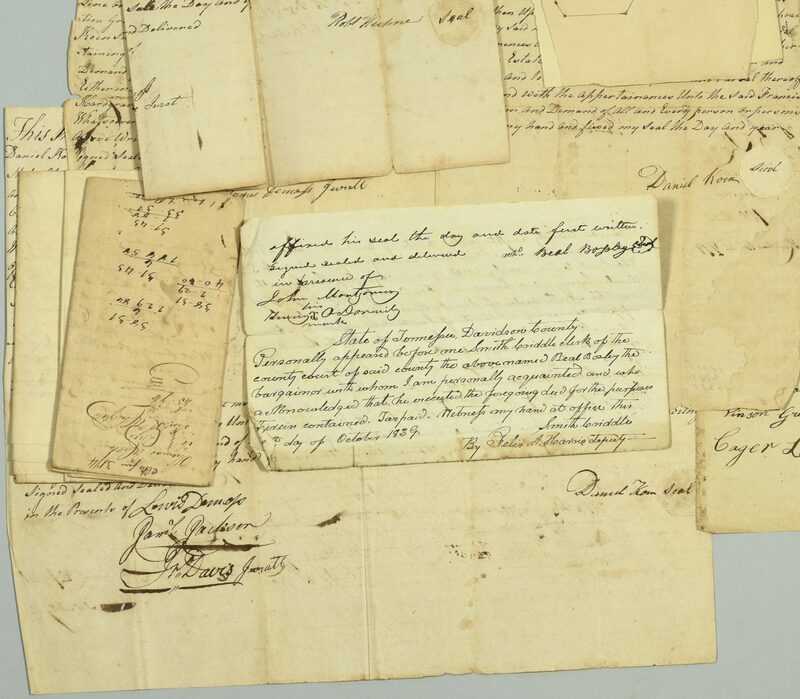 Other individuals signing these documents include Mason Richardson, Thomas Walton, Robert Hulme, John Montgomery (1839), Daniel Koen and John Ganett. Sheet sizes range from 5" x 8" to 16" x 12 1/2". Provenance: the estate of Sarah Hunter Hicks Green, formerly of Historic Devon Farm, Nashville, Tennessee. CONDITION: General toning and losses along some fold lines with most in good condition, however the page signed by Ganett has considerable fading and two Hargrave documents are missing their upper or lower halves.